Arkell (a.k.a. 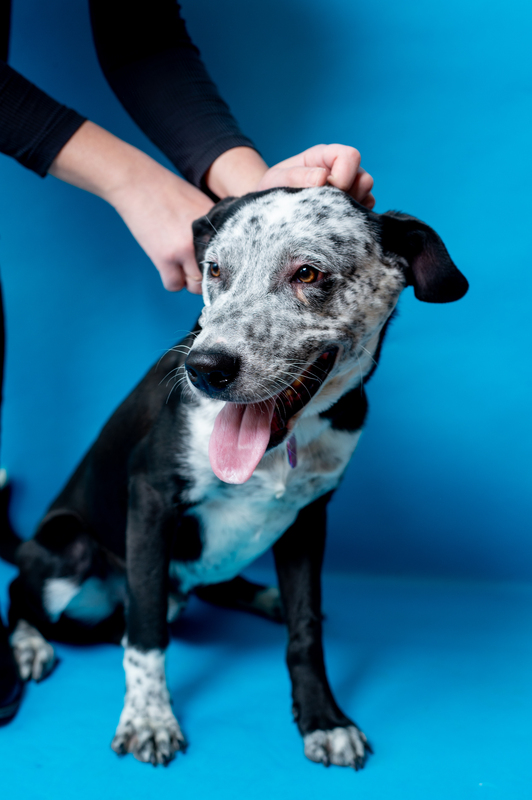 Arkie) is a sweet, affectionate and curious freckle-faced Texas Australian Cattle Dog mix. Australian Cattle Dogs are usually known for their athleticism, but this guy’s favourite pastime is cuddling up on the couch with his foster mom. He’s well-suited to condo living — he doesn’t bark, he isn’t destructive and he loves riding in elevators. He sleeps soundly through the night in his dog bed, only moving to pop his little head up every once in a while to make sure his foster mom is okay. He’s adjusting well to our Canadian winter and loves exploring the city on his walks. He loves greeting new people and playing with other dogs; his foster parents think he would thrive with another dog in the home. Arkie is also very smart–our current projects are house, crate and leash training, and he’s been doing very well! 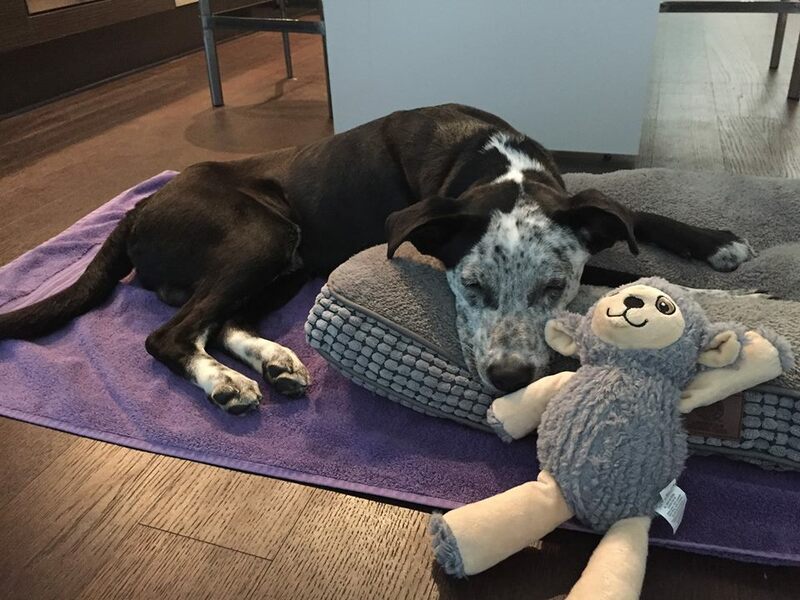 Some of Arkie’s favourite things are his lamb plushy toy (he carries it around the apartment with him), listening to music when he’s in his crate (anything from soothing Chopin to of course Arkells), belly scratches, snuggling up under soft blankets, and treats galore. Arkie would do best in an active and loving home with a family who’s excited to train him and shower him with tons of affection. He’s an absolute gem of a dog who is eager to give his whole heart to his future family.